Soft matter (polymers, colloids, surfactants and liquid crystals) are an important class of materials in modern technology. They also form the basis of many future technologies, for example in medical and environmental applications. Soft matter shows complex behaviour between fluids and solids, and used to be a synonym of complex materials. Due to the developments of the past two decades, soft condensed matter can now be discussed on the same sound physical basis as solid condensed matter. The purpose of this book is to provide an overview of soft matter for undergraduate and graduate students in physics and materials science. 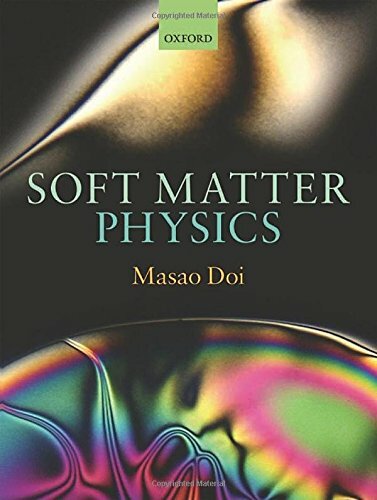 The book provides an introduction to soft matter (what it is, and what are the characteristics of such materials), and also provides the reader with the physical basis for understanding and discussing such characteristics in more detail. Many basic concepts, which are required in advanced courses of condensed matter physics, such as coarse graining, scaling, phase separation, order-disorder transition, Brownian motion, and fluctuation-dissipation theorem, are explained in detail with various forms of soft matter used as examples.